Click to register Seussical, Jr. the Windmore Summer Musical Theatre Camp! Windmore’s “Seussical, Jr.” Musical Theatre Summer Camp 2019 Registration Open! Windmore’s Pen-to-Paper Writers meet to share different genres, discuss publishing, perform readings, and to encourage young writers. The group uses art, music, writing exercises, and drama to stimulate creativity. Authors offer constructive criticism and support. New or experienced writers are welcome. Pen-to-Paper writers published Windmore’s fourth anthology, In Other Words in June 2017. Meetings for Pen-to-Paper are held at Culpeper Library on the first Tuesday of each month. Morning session is from 10 am to noon and evening meeting is from 5 pm to 7. Educational classes are determined by writers’ suggestions. PEN-TO-PAPER WRITERS GROUP HAS PUBLISHED NEW 2017 ANTHOLOGY! Twenty-one authors submitted their stories and poetry to the Windmore Foundation for the Arts’ fifth anthology. This special edition, In Other Words, is to honor Windmore’s 30th Anniversary. The stories address everything from love to inspiration, animals to friendship, and funny stories to sorrowful situations. In prose and poetry, the writers describe natural wonders, their holiday beliefs, and their views about the future. Some of the stories are beautifully illustrated by four Windmore members who submitted their photography. Books purchased from Windmore are ten dollars. It is also available on Amazon.com for $11.99 plus shipping and handling or in an e-book edition available on Amazon or Barnes & Noble for $2.99. If you would like to purchase the book from Windmore, contact Fran at pen-to-paper@windmorefoundation.org. Many folks want to write, but do not know how to go about it. Pen-to-Paper is a growing group of interested writers in the Culpeper and surrounding area who meet once a month and discuss many aspects of writing: publishing, sharing genres, performing ‘readings’ for the public, encouragement of young children to write, the use of art, music, and drama as stimulants for our creativity, using various writing exercises with critiquing, and much more. The group includes published authors, new writers, and talented writers learning more about publishing. The group is growing and they are starting new projects. Whether one uses pencil, pen, or computer, we continue to bond in our need to write. It’s the passion that keeps us together on a common path. Pen-to-Paper meets the first Tuesday of every month. There is a morning meeting from 10 AM until 12 noon and an evening meeting from 5 PM to 7 PM. Both meetings are held in the small conference room in the Culpeper County Library. 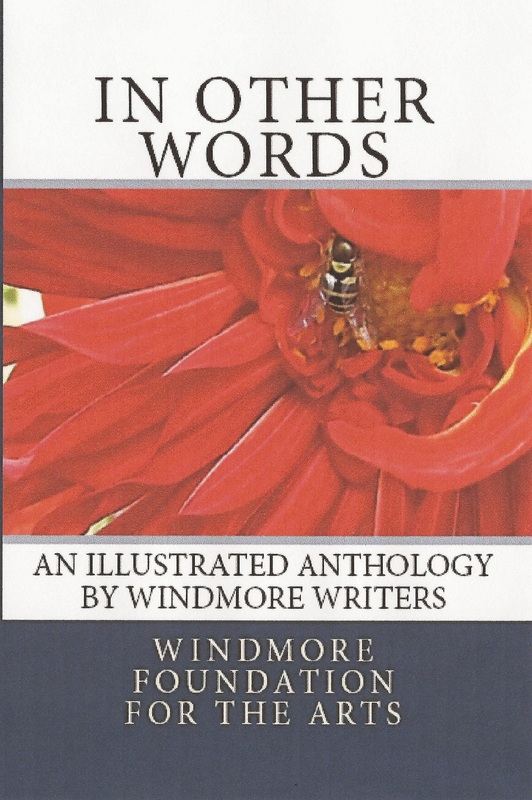 In 1992, The Windmore Writers’ Anthology was published. It was included in the gift package to then President-elect William Clinton and Vice President-elect Al Gore, when they visited the Culpeper area and attended church here prior to the inauguration. Copies of the publication have been distributed around Virginia and to such places as Mississippi, California, and Eastern Europe, where it was translated into Polish. Another collection of short stories, poetry, and essays entitled Touching The Heart, was published in 1996. Published in 2010, Pen-to-Paper’s anthology Images in Ink also includes artwork from Artists of Windmore. It is from Amazon.com or Createspace for $12.99. NEW! The 2012 anthology, Words Across Time, is a celebration of twenty years of creative writing. Pen-to-Paper writers submitted poems, stories, and essays to the anthology committee, who also considered selections from previous anthologies to complete the journey through time. It was difficult to select from such amazing talent! The anthology committee chose works that touch us by making us think, laugh, or cry. Words Across Time also includes many illustrations submitted from Windmore artists. Words Across Time is available from the Windmore Foundation for $10.00. It’s also available through Amazon.com for $11.99, or as an ebook for $2.99. 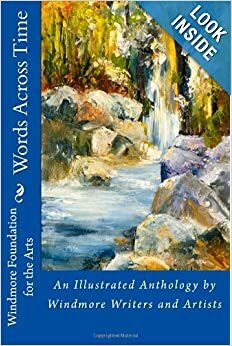 Limited copies of The Windmore Writers’ Anthology and Touching The Heart are available. For more information contact Fran Cecere. 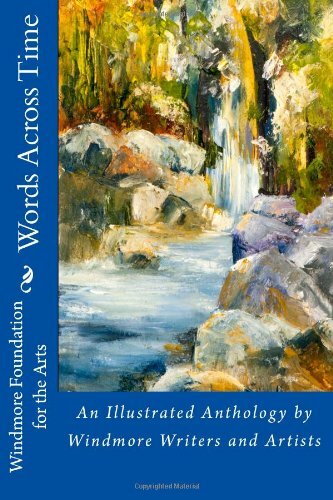 All profits from the purchase of the anthologies benefit the Windmore Foundation for the Arts.